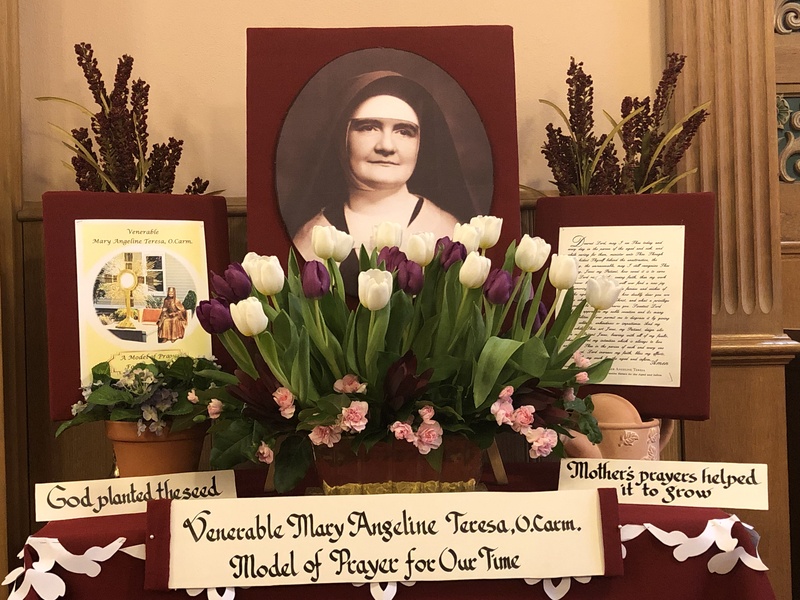 On January 21, 2019, the Carmelite Sisters for the Aged and Infirm celebrated the 35th anniversary of Venerable Mary Angeline Teresa McCrory’s passing to eternal life. Saint Teresa’s Motherhouse located in Germantown, New York held a special Mass. 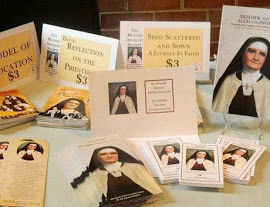 A good number of the McCrory family, Avila Carmelite Sisters, guests, Pre-Novices and Novices of the Carmelite Friars attended the event. The theme chosen for this celebration was “Model of Prayer for Our Time”. The Carmelite Sisters are grateful to Very Reverend Mario Esposito, O.Carm., Vice-Postulator for the Cause of Venerable Mary Angeline Teresa, and Principal Celebrant. Also con-celebrating at the Mass were Rev. James Hess, O.Carm., Rev. Patrick Buckley, Rev. Roberto Perez O.Carm., and Rev. John Moyna.